Monarch Air Group provides private air charter in McAllen, TX. Our clients benefit from top-notch service, unrelenting dedication to safety, wide selection of aircraft, and years of experience in chartering private jets. To obtain a free quote, please use our online quoting tool provided below, or call toll free 1-877-281-3051. Monarch Air Group provides private jet charter flights in and out of McAllen, Texas, USA. McAllen is a city in southern Texas, in the Rio Grande valley. It is the 20th most populous city in Texas and the largest city in Hidalgo County. The population of the city is about 129,877 people. The total area is 46.3 square miles. The most popular tourist attractions include Quinta Mazatlan, McAllen Public Library, McAllen Convention Center, 17th Street Entertainment District, International Museum of Art & Science (IMAS), South Texas College, Fireman’s Park, and much more. The nearest airports are McAllen-Miller International Airport (MFE / KMFE), which is situated 2 miles from the city center, General Lucio Blanco International Airport (REX / MMRX), which is situated 18 miles from the city, and Valley International Airport (HRL / KHRL), which is situated 40 miles from McAllen. 1. BRO, South Padre Is. Intl, Brownsville, United States. 2. FAL, Falcon State, Roma, United States. 3. 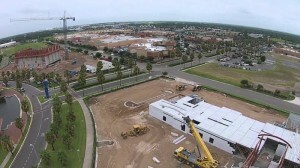 HRL, Valley International, Harlingen, United States. 4. MAM, Matamoros, Matamoros, Mexico. 5. MFE, Mc Allen Miller International, Mc Allen, TX, United States. 6. REX, Gen Lucio Blanco, Reynosa, Mexico. 1. Casa De Palmas Renaissance McAllen Hotel, 101 North Main Street, McAllen. 2. Holiday Inn Express Hotel Mcallen, 1921 South 10th Street, McAllen. 3. Casa De Palmas Renaissance McAllen Hotel, 101 North Main Street, McAllen. 4. Holiday Inn Express Hotel Mcallen, 1921 South 10th Street, McAllen. 5. Casa De Palmas Renaissance McAllen Hotel, 101 North Main Street, McAllen. 6. Holiday Inn Express Hotel Mcallen, 1921 South 10th Street, McAllen. 7. Casa De Palmas Renaissance McAllen Hotel, 101 North Main Street, McAllen.